If an event is happening right now, go check out the live timing. Explore the limits of your car and your driving skills while having fun and competing against your friends. Minnesota Autosports Club is a non-profit organization of amateur automotive enthusiasts (a.k.a. 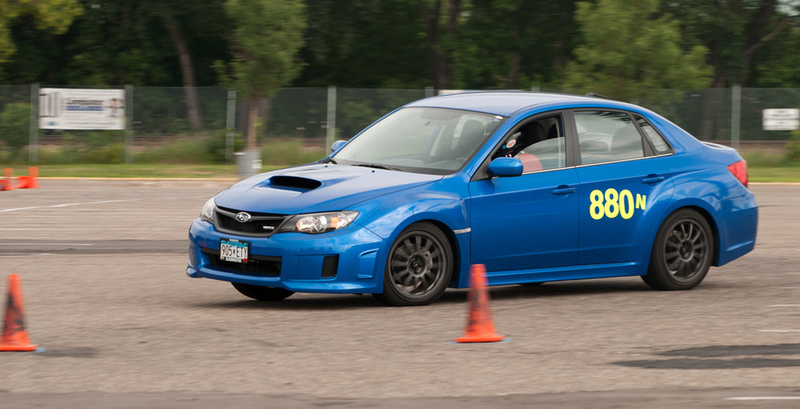 car nerds) who have been hosting autocross events in Minnesota for over 45 years. See a list of upcoming events and register at MotorsportReg.com. Also become a member at MotorsportReg.com. Visit our forums to talk to us and see our latest activity. Ready to have some fun? Here are some tips. All you need is your favorite car and plenty of sunscreen. No experience necessary. For over a decade we have partnered with ProKart Indoor in Burnsville to host winter kart racing leagues. These leagues offer very competitive racing and serve as a excellent training ground.